Neglected tropical diseases (NTDs) are a group of infectious diseases recognised by their association with impoverished tropical and sub-tropical regions1. 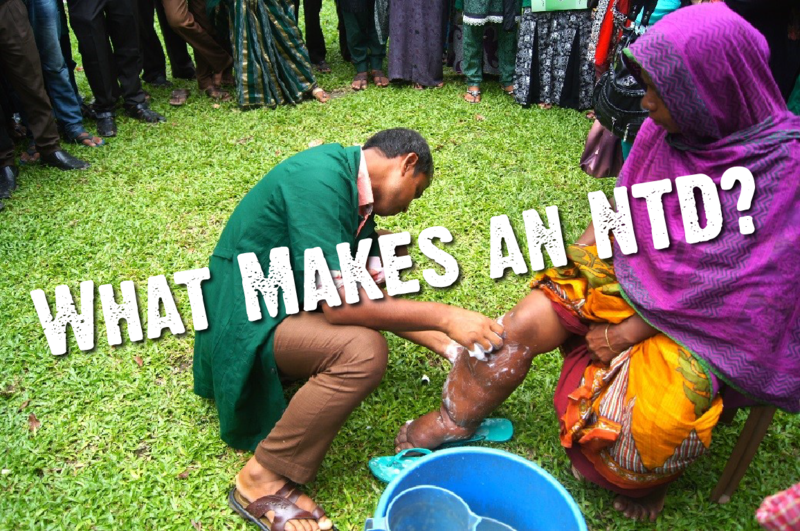 The term NTD was coined in 2003 to raise the profile of these diseases, which are overshadowed by global HIV, malaria and tuberculosis public health interventions2. Currently, there are 17 recognised NTDs, grouped into helminth (worm), bacteria, protozoa and viral infections. Respectively, some examples include lymphatic filariasis (Figure 1), leprosy, leishmaniasis and dengue. Neglected tropical diseases maintain the cycle of poverty in low and middle-income countries through their impacts on child health, education, pregnancy and worker productivity1, limiting economic and social development. Of the world’s poorest 2.7 billion people, 1 billion are living with one or more NTD, keeping them below the poverty line3. Figure 2 demonstrates the burden of NTDs across regions in the Americas, Africa and Asia. Figure 2. Global distribution of Neglected tropical diseases (2009/2010). Credit: Uniting to combat Neglected Tropical Diseases, Accessed 26/10/18. Social factors contribute heavily to the abundance of diseases in these countries. Those areas that are suffering from conflict and war often have a high burden of diseases, due to the displacement of people and high numbers living in close proximity in refugee camps. A recent example of this is the Rohingya refugee crisis resulting from escalating violence in Myanmar (Figure 3). With monsoon rains flooding camps, the threat from dengue and other diseases is increasing4. The global population has doubled over the last 50 years, with most growth being across less developed regions5. This growth has put pressure on infrastructure and resulted in overcrowding, and these cramped and insanitary living conditions make for easy transmission of infections. The lack of piped infrastructure and adequate sewage disposal leaves stagnant bodies of water, which harbour many pathogens capable of causing diarrhoeal diseases and provide breeding grounds for mosquitoes and other insect vectors. These factors are exacerbated by the natural disasters to which tropical countries are prone. Destruction caused by flooding, cyclones, hurricanes, earthquakes and tsunamis often leads to disease outbreaks. Tropical climates near to the equator remain warm and humid all year round, favouring the growth of flies and mosquitoes responsible for spreading NTDs6. Much of the emphasis on global public health interventions focuses on reducing diseases that cause a high mortality. While many NTDs can cause mortality, they primarily cause high morbidity, meaning those effected are living with the chronic ill-effects of these diseases. The term used to describe the cost of living with these diseases is DALYs (Disability adjusted life years); according to the 2010 Global Burden Of Disease Study, NTDs were accountable for 26 million DALYs7. The years lost due to disabilities have a serious impact on economic growth; disabilities such as blindness and disfigurement caused by NTDs also have social impacts resulting from the stigma associated with infections. This can result in disownment, discrimination and loss of social status 7, in turn affecting the mental health of sufferers and their families8. Since being recognised as neglected, there is a push by many NGOs and global health organisations to support and fund mass drug administration and vector control programmes to reduce the global burden. However, for those suffering already there is often little that can be done. Helse, G. & Winkler, A. S. Neglected tropical diseases-the present and the future | Tidsskrift for Den norske legeforening Neglected tropical diseases-the present and the future. Jannin, J. & Gabrielli, A. F. Neurological aspects of neglected tropical diseases: an unrecognized burden. Handb. Clin. Neurol. 114, 3–8 (2013). 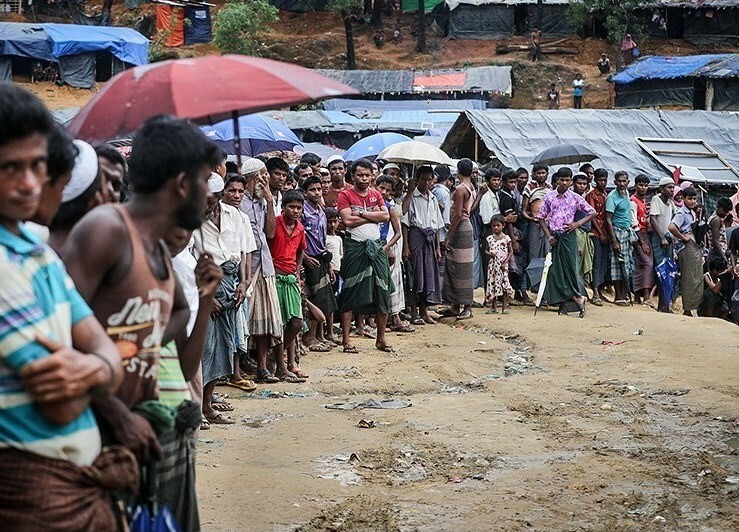 Cousins, S. Rohingya threatened by infectious diseases. Lancet Infect. Dis. 18, 609–610 (2018). Mitra, A. K. & Mawson, A. R. Neglected Tropical Diseases: Epidemiology and Global Burden. Trop. Med. Infect. Dis. 2, 36 (2017). Molyneux, D. Neglected tropical diseases. Community eye Heal. 26, 21–4 (2013).